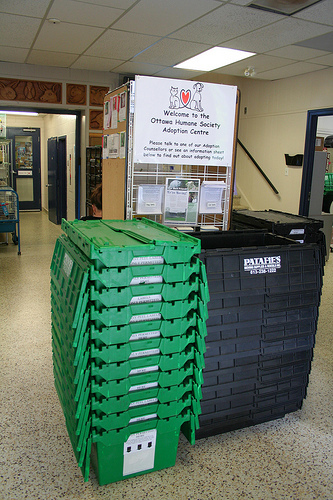 Ottawa Humane Society: The Packing Begins! The OHS staff are so excited about the move to 245 West Hunt Club Road next week! Today the packing crates arrived, and the packing begins. So much to get done! For more information about our move, visit ottawahumane.ca. OHS Pet of the Week: Armana the Budgie! The Ottawa Humane Society is Moving!